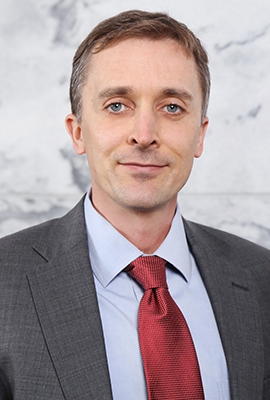 Thomas V. Burch joined the University of Georgia School of Law faculty in 2011 after starting his academic career as an assistant visiting professor at the Florida State University College of Law in 2009. He teaches Appellate Advocacy and supervises the law school’s Appellate Litigation Clinic. As part of the clinic, Burch helps students represent clients before federal circuit Courts of Appeals, federal District Courts, the U.S. Office of the Pardon Attorney and the U.S. Supreme Court. With Burch’s assistance, students decide case strategy, write briefs, present oral argument and communicate with clients. Their work has resulted in significant victories for their clients, including a rare clemency grant for a client who was serving a life sentence for a non-violent drug offense. Because of his role in the clinic, Burch has also co-taught mini-courses with Judge David B. Sentelle of the U.S. Court of Appeals for the D.C. Circuit and Judge Bernice B. Donald of the U.S. Court of Appeals for the Sixth Circuit. These courses, called Persuading the Judge and Jury, were part of the law school’s Edenfield Jurist in Residence program. Burch also teaches a seminar on alternative dispute resolution, and he has published several articles on arbitration that have appeared in the Utah Law Review, the Kansas Law Review, the Florida State University Law Review, the American Arbitration Association Handbook on Dispute Resolution and the American Arbitration Association Dispute Resolution Journal. Before entering the legal academy in 2009, Burch was a litigation associate at King & Spalding in Atlanta, Balch & Bingham in Birmingham and Hopping Green & Sams in Tallahassee. Burch earned bachelor’s degrees in Spanish and finance, both from Mississippi State University. He earned his law degree from Florida State University, where he served as legislative editor of the Florida State University Law Review. ''New Judgment" and the Federal Habeas Statutes, 8 Calif. L. Rev. Online 88 (2017). What Do Appellate Clinics Do?, 35 App. Prac. (2016). Regulating Mandatory Arbitration, 2011 Utah L. Rev 1309 (2011). Manifest Disregard and the Imperfect Procedural Justice of Arbitration, 59 Kan. L. Rev. 47 (2010). The Effect of Forum Selection Clauses on District Courts' Authority to Compel Arbitration, AAA Dispute Res. J. (Nov.-Jan. ed. 2006) (with John Hinchey). An Arbitrator's Authority to Award Bad Faith Attorney Fees, AAA Dispute Res. J. (May-July ed. 2005) (with John Hinchey) (Reprinted in AMERICAN ARBITRATION ASSOCIATION HANDBOOK ON ARBITRATION PRACTICE (Carbonneau and Jaeggi, eds., 2010)). Necessity Never Made a Good Bargain: When Consumer Arbitration Agreements Prohibit Class Relief, 31 Fla. St. U. L. Rev. 1005 (2004). Georgia General Assembly Adopts "Manifest Disregard" as a Ground for Vacating Arbitration Awards: How Will Georgia Courts Treat the New Standard?, Ga. Bar J. 10 (Feb. 2004) (with John Hinchey). "Doublethink"ing Privacy under the Multi-State Antiterrorism Information Exchange, 29 Seton Hall Legis. J. 147 (2004). Non-State Actors in the Nuclear Black Market: Proposing an International Legal Framework for Preventing Nuclear Expertise Proliferation & Nuclear Smuggling by Non-State Actors, 2 Santa Clara J. Int'l L. 84 (2004).